The Nut Job Is A Con Job! Every now and then you make a mistake, and you let your daughter pick a movie because she thinks a purple squirrel is cute. She tells you it will be silly. With The Nut Job your daughter was wrong on all counts. Well maybe the squirrel is cute, but it definitely isn’t silly. In fact is, it isn’t anything. It is just a collection of scenes with the run time of a feature film. It is a waste of everyone’s time. 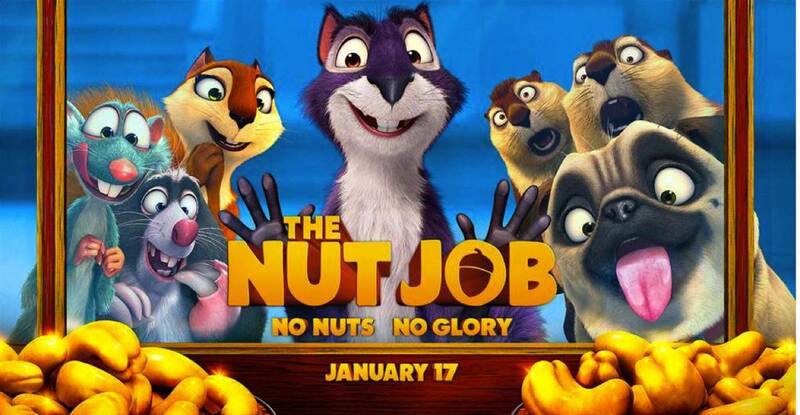 We live in an age now where most kids movies a parent can watch and still be at least mildly entertained, but that is not the case with The Nut Job. It is an hour and twenty-six minutes of torture, and to cap it off, my daughter didn’t even like it that much. It is a low budget cash in. A job for everyone involved, but a disaster for anyone that was actually forced to watch it. I would normally give a plot synopsis, or talk about the actors involved, but if they didn’t care about their movie, why should I? Okay fine, but only for the sake of a complete review! Animals in a park are hungry, so they try and steal nuts from bank robbers, and people of various fame levels voice the animals with varying degrees of blandness. Somehow this movie got a sequel, which my daughter will not talk me in to watching. Though to her credit, I doubt she will be asking to watch The Nut Job again. If you happen to flipping through Amazon Prime and your kids squeal when they see a purple squirrel, just keep flipping and pretend you didn’t hear them. It will be better for everyone. We need to keep our families safe from terrible movies. Especially ones with Psy performing Gangnam Style. Next PostNext Shmee Played D&D With His Friends And Has This Video As Proof!